Panelists (left to right): Super Retail Group's Kevin McAulay, REA Group's Natalie Feehan and Nigel Dalton, and AIA's Tim Tez. 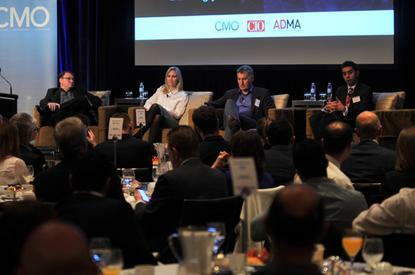 This was the consensus among a panel of marketing heads and one technology chief during the ‘CMO – CIO Customer Experience’ breakfast forum hosted by CMO and CIO magazines and the Association for Data-driven Marketing and Advertising (ADMA). Tim Tez, chief marketing officer at insurance giant AIA, said a customer experience strategy should not sit separately to an overall business or digital strategy. “They are inherently intertwined – when we do our strategic work both organisationally and in marketing, we start first and foremost by asking ‘what are the customer trends?’” he said. Retail estate advertising firm, REA Group, doesn’t have a digital customer strategy because it’s “all we do,” said CIO, Nigel Dalton. Natalie Feehan, group GM, strategic marketing at REA Group, said she finds it interesting businesses still use the words ‘digital strategy’ because it implies digital is something separate from the rest of the organisation. “In terms of customer strategy or a digital strategy, it has to be embedded in everything the organisation is doing and by employee as well,” she claimed. Super Retail Group does have a separate customer strategy but it’s based on insights and engagement, said group GM, marketing and communications, Kevin McAulay. But is there an internal battle between who owns the customer and who develops the customer experience? Not if all departments – including marketing and IT – are working towards achieving the same objectives when it comes to improving customer experience, according to the panel. “A good measure of whether you are going to fail is if you use the phrase ‘internal customer’,” said Dalton. “It’s another one of those hurdles your organisation should get over. There are so many companies I worked in where I’ve been told: ‘We know you’re from IT and we know you’re a bit weird but don’t you worry about a thing. Just imagine I am the customer; pretend we are the customer so I can tell you what to do’. Feehan adds that internally, an organisation needs to have the same goals. “We [REA Group] have stripped out the role of functions or having [divisions] with individual objectives and passing a project through one gateway to the other,” she added. “You have people in IT and people in marketing working on the same project with the same objectives … it means the mindset is very different internally for us and everybody is customer-focused in what they’re doing. For me as well, I’d say 70 to 80 per cent of my job is about our employees and the effect they have on that customer experience. The two REA Group representatives said the organisation had to progress towards its current structure of breaking down the walls and continues to make sure everyone in the organisation is moving towards the same goal. “I’m here under false pretences because I’m chief information officer on my card but that’s not actually my day job,” said Dalton. “We flipped the structure, and there are plenty of other examples of organisations, such as Spotify, that don’t emphasise the structural function at all. My day job is I’m the steward of the customer-centric ecosystems. According to Dalton, switching to a ‘line-of-business’ structure wasn’t without its controversies. AIA hasn’t removed functional structures but has become better at being agile and nimble and embarking on some small experiments, some which may fail, Tez said. “It’s a mug’s game trying to predict what technology’s going to do, you’ve just got to be ready to take small experiments, the ones that pay off you’ve got to run as hard as you can,” he said. Will your business be a digital predator of prey?